ALIGARH February 28- A blood donation camp was organized by ‘SOCH… beyond the imagination’ with the help of blood bank Jawaharlal Nehru Medical College, Aligarh Muslim University. 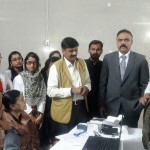 Inaugurating the camp, Prof Tariq Mansoor, Principal and CMS, JNMC appreciated the efforts of the members of ‘SOCH… beyond the imagination’ and motivated the students who came for blood donation. He said that it makes us feel proud after donating blood, and everyone should donate at least once in life. He also added that these kinds of activities should be promoted in colleges, universities and throughout the nation among the youth. Prof Shamshad Ahmed and Prof S.H. Arif, Department of Pathology, Dr Sohail and Dr Smriti of Blood bank, Dr Nasir Salati, Assistant Professor, Dental College, Dr M Yunus Khan, Assistant professor, University Polytechnic were present during the inauguration. 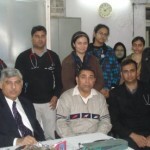 Dr Saleem Mohammad Khan of ‘SOCH…’ said that such camps will be organized on regular basis. Dr Danish Suhail of SOCH appreciated the overwhelming response and said it is a positive sign that our youths respond to the social causes. Dr Rahul Pandey informed that SOCH will organize a programme on International Women’s Day on 8th March for female awareness in society. Dr Murad Ahmed, forme President, Resident Doctor’s Association said that they were the first medical team to visit Uttarakhand during the disaster last year. The visiting team also consisted of members of ‘SOCH’ who worked hard during to provide aide to needy. Aadil Izhar, Daiyan Usmani, Saif Khan, Arshad Khaleel and Qasim Khan employed their efforts in making the Blood Donation Camp a success. 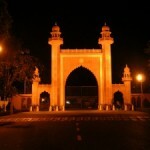 Members of SOCH who were instrumental in organizing the event included Amood Gulzar, Tabish Suhail, Inam, Obaid, Rehman, Jilani Khan, Wakkas Raza, Rameez Usmani, Shahbaz Sajid, Vishank Pratap Singh, Mir Akhter, Himanshu Gupta, Hassan Khan, Hamza, Faraz Murtaza, Faraz Islam, Moin Mohammad, Inam, Ashar Nomani, Arfa khan. A total of 54 units of blood was collected in the camp.